David Lindsay’s books are an addiction. So compelling did the American literary critic Harold find Lindsay’s Voyage to Arcturus that he read it hundreds of times, wearing out countless copies. Perhaps this is one of the reasons Lindsay’s books are so hard to obtain! Lindsay was the son of a Border Scot and spent a good deal of his childhood in the Jedburgh area of Scotland, though his adult life was spent in the South of England. He was greatly influenced by the Aberdeenshire writer George Macdonald, and his writings, like many of Macdonald’s, have often been classified as Fantasy. 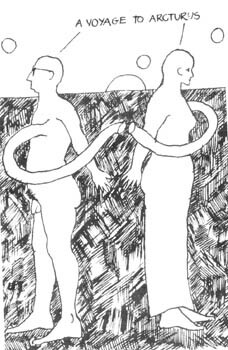 His work is completely sui generis, though it bears a certain resemblance to the later Neil Gunn, particularly his more Metaphysical novels like The Other Landscape. C.S. Lewis, whose Space Trilogy was inspired by a reading of Voyage to Arcturus, professed to know the geography of Lindsay’s star Tormance better than that of tellus, a statement which betrays an enthusiasm for Lindsay’s love affair with Transcendence. If one reads Lindsay’s unpublished chapters of The Witch, now in the National Library of Scotland, one finds oneself in the world of the Eternal Feminine – a spiritual landscape of beauty and music described in language utterly strange and unendurably moving. His writing has a peculiar appeal to those of musical disposition, and indeed, music plays a major role in his novels. Old paperback copies of Voyage to Arcturus and the Gollancz reprints are quite difficult to find, but can be obtained secondhand for modest prices. 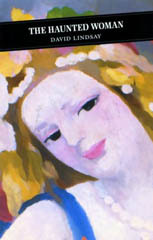 The work was reprinted in 1946, 1963, and 1968. 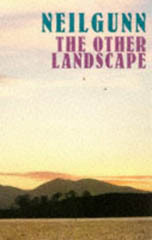 A new edition was published in 1986. The first edition of the book, published in 1920, is exceedingly scarce. I have held in my hand one copy which later sold for over £50. The first edition of Haunted Woman, published in 1922, must be scarcer than a Kilmarnock Burns. It too has been reprinted by Gollancz, and secondhand copies can be obtained by anyone exercising perseverance. Anyone lucky enough to secure a copy should read it to the accompaniment of Beethoven’s 7th Symphony which, in this truly haunting novel, acts as a bridge between two different orders of reality. It took me ten years to find a second-hand copy of Sphinx, which has been described as one of Lindsay’s Nietzchean efforts. This was published in 1923. The Adventures of Monsieur de Mailly, published in 1926, was secured after an eight year hunt, and Devil’s Tor, 1932, took me five. 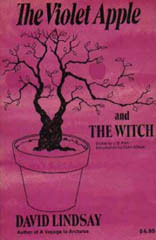 Posthumously published works of Lindsay’s include The Violet Apple, 1978, and an abridged version of The Witch, edited by Colin Wilson and published in an American paper edition. Unpublished manuscript material, including his Phenomenonologically interesting sketch notes for a new system of philosophy, has been donated to The National Library. It is unlikely that any enthusiast of Lindsay’s work will ever succeed in completing a collection, yet it would be rewarding to collect what is available as well as to gather together back issues of periodicals such as Lines Review, Cencrastus, and Studies in Scottish Literature which include articles on Lindsay. Autographed and manuscript material would be an added bonus. For many years Lindsay was neglected as a Scottish writer, though his work has a distinct Scottish morphology. Only about 600 copies of his original masterpiece Arcturus sold before the book was remaindered. Reviews were unkind. There has been a marked revival in interest, however, in the past ten years and now he is not only academically respectable but the subject of Doctoral theses and listed in Scottish Literary Reference works complete with pedigree. An Opera based on Arcturus was produced in Wales a few years ago. Even now the full significance of his writings has not been fully grasped. He is essentially a post Calvinist writer. 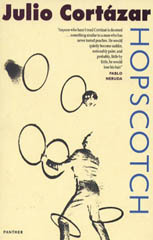 His work bears comparison with that of the Argentinian novelist and short story writer Julio Cortazar, author of The Pursuer and the more famous Hopscotch. Cortazar is in advance of his time, and perhaps not yet fully appreciated in this country. As for Lindsay – he still belongs to the future.